Are you having problems with your P0740 trouble code? In this article, we will discuss what this trouble code means, and how you can find the problems to repair them. We will begin with the meaning of the P0740 code and possible symptoms. What Does the P0740 Code Mean? 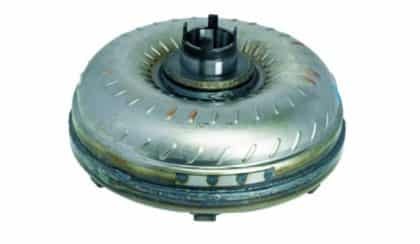 The P0740 code indicates that the powertrain control module (PCM) has observed an unusual behavior within the torque converter clutch circuit. Every vehicle built since 1996 returns this generic trouble code when a problem is detected with the torque converter clutch circuit, however, modern vehicles now determine when to give this code based on other information as well such as throttle position, engine load, car speed etc. How to Diagnose the P0740 Code? The P0740 code can be a little difficult to diagnose initially but is observable when the car experiences drivability issues. You would need a factory wiring diagram of your car to locate the right connections points between the circuit and notice for damage with the wiring. Moreover, you should also check the transmission fluid. Here are some steps you should follow to diagnose the P0740 code. It is important that your vehicle’s battery does not drain while working on troubleshooting the trouble codes. Which is why it is important that you attach a car battery charger whenever you are working on the car with the ignition on. Moreover, the low battery may also generate additional trouble codes which will make the situation even more confusing.
. This device lets you easily read the data from the trouble code and also has built-in values that allow you to make a comparison and determine the cause of the problem. You’ll also need a digital volt ohm-meter to test the circuit resistance. The most important and initial step is to determine if any bad connection or wiring is causing the P0740 trouble code to generate. Inspect the wiring leading to the transmission system and notice for signs of damage. You can refer to the vehicle factory wiring diagram to easily identify all connection points. If you have checked the wiring and connections leading to the transmission system and everything seems to be in order, check the transmission fluid to see its proper level and condition. If the fluid seems less or different, it may be a part of the problem. Start by removing the harness plug of the transmission system and then using the DVOM, check the resistance of the TCC solenoid. If the resistance reading comes too high then there is possibly something wrong with the solenoid. The TCM can be monitored using an advanced diagnostic tool and it requires certain expertise to understand the reading. It is advisable to take your car to an auto specialist who will conduct this test and let you know if the problem is with the TCM. In most of the cars, the transmission solenoid is located inside the oil pan and is connected to valve body. In such a case, an auto expert will easily replace the damaged shift solenoid. However, in some cars, the transmission solenoid is packed in multiple units and if a problem occurs, the whole pack needs to be replaced. The average cost to replace a single transmission solenoid comes between $20 and $100. A whole pack may cost around $200. The labor cost comes approximately $150 to $400. Does the P0740 Code Need Serious Attention? The engine is not the only thing that drives the vehicle. The transmission system is equally important and any problem with the transmission system can leave you stranded in the middle of the road. If you notice early symptoms of the P0740 code, it is a good idea to follow the guide above and diagnose the issue or take your car to an auto specialist. If the code continues to persist and is not taken care of, the transmission system can fail and may cause damage to the engine as well. This is why the P0740 code should be dealt with as quickly as possible. How to Avoid the P0740 Code? If the P0740 code is ignored for long, it can result in serious drivability issues and may damage other components besides the transmission. You can avoid this problem by regularly (or at regular intervals) checking and replacing the transmission fluid and the filter. This ensures that the components inside the transmission system stays well lubricated and work with maximum efficiency. If you have any further questions related to the P0740 code, just inbox below and I will get back to you as soon as possible. It sounds like a problem with a shift solenoid or the shift stick. Check with a scanner and see the live data if the Transmission control unit is getting the “Drive” signal from the stick.